Dutch filmmaker Bram Van Splunteren's doc was filmed for Dutch TV in 1986, but it was only released on DVD a few weeks ago, more than 25 years after Big Fun in the Big Town was first shot in NYC. And, honestly, we'd be mad that we've been without it this long if making the discovery this much later didn't feel like unearthing treasure the way it does. 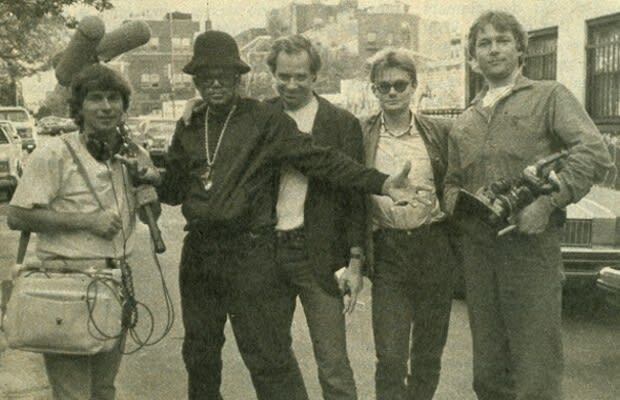 Van Splunteren's passion for hip-hop shines in his earnest representation of his subjects, from a hungry LL Cool J and a very fresh-faced Biz Markie, to a boastful Doug E. Fresh confidently displaying his beatbox skills, all shown in crisp cinematography with a still-gritty New York City in the background. There are also plenty of original interviews with Mr. Magic, Marley Marl, Grandmaster Flash, Run-DMC and Jam Master Jay, Roxanne Shante, Russell Simmons, the Last Poets and more. It's like finding a forgotten $20 in your winter coat pocket.